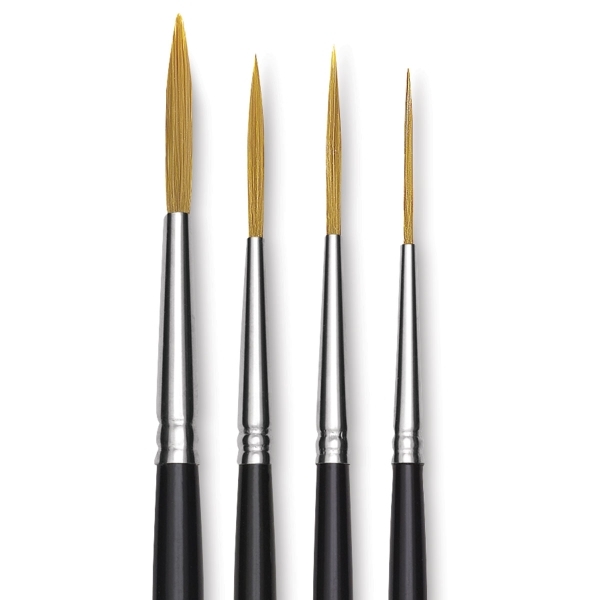 Utrecht Synthetic Sablette Brushes are an economical alternative to Red Sable brushes, and an excellent choice for watercolor paints. 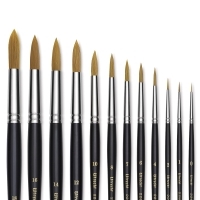 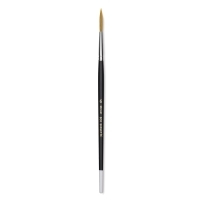 The brushes are constructed of the finest synthetic Golden Taklon filaments. 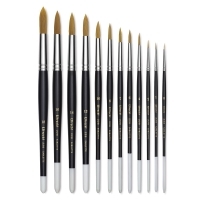 Each filament has a long tapered tip that mimics the natural feel of Red Sable yet provides the durability and wear resistance of a synthetic. 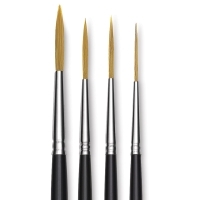 The filaments are set into double-crimped, seamless, nickel-plated ferrules and fastened onto black lacquered handles. 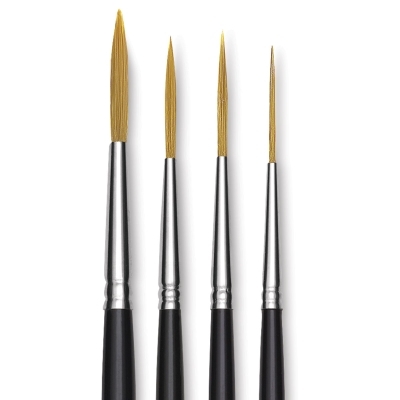 Sablette brushes offer excellent paint capacity, a resilient snap, and sharp points, making them ideal for details and edging. 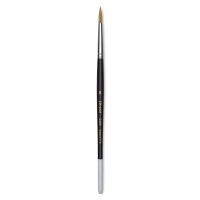 Round — Choose Sablette Round brushes for making bold strokes. 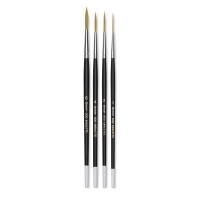 Rigger — These extra-long brushes are for creating fine, straight lines and lettering.